“This has to be my absolute favorite Pinot Noir,” he said after taking this fourth sip. For a guy who doesn’t typically care for Pinot that IS a statement, one that made me stop what I was doing and join him. 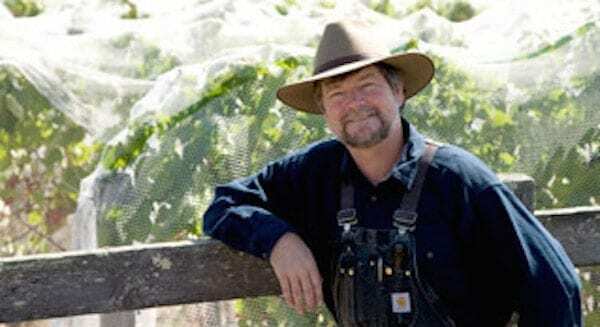 I’ve known of the legendary Greg La Follette but had not yet tasted his wines. I have to admit it was truly a pleasure. The 2012 Pinot Noir from Sangiacomo Vineyard was one of the most complex, yet balanced Pinot’s I’ve had. It was rich and layered yet light at the same time. This may sound strange, but I was almost like a Cab-Pinot. 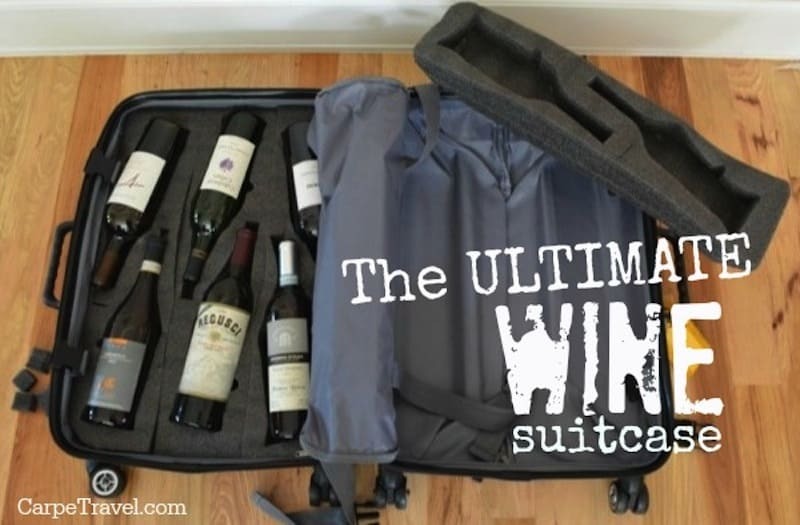 Maybe a better way to describe it – a Pinot Noir for Cab lovers. In other words, my perfect kinda wine. Tell me a bit about your background and how La Follette came to be. I wanted to be a winemaker since I was 17, but living in LA, well, who becomes a winemaker? I mean, how practical would that be? So instead I became a professional bagpiper and was the ship’s piper on the Queen Mary. Next up: a seminarian in the Catholic Church. After that ran its course (I now have six kids so no priesthood for me), I got degrees in Plant Biology and Chemistry and did HIV research at UCSF. Everybody I worked on in those dark, early days of AIDS died and so after serious burn-out I transferred to UC Davis and was on staff there first as a chemist and then matriculated, doing my post-grad work on how Burgundian winemaking techniques affect mouthfeel. This lead to a career in Chardonnay and Pinot winemaking which, after stints helping to fire up Burg-varietal labels such as Flowers, brought me to my own eponymous La Follette brand. How does your approach differ from other winemakers? I’m probably the worst person to tell this story as it would sound a bit like self-glorification. I guess what I do best and not saying I’m better than most is that with my degrees in Plant Biology and Chemistry and my post-graduate work in how Burgundian winemaking techniques affect mouthfeel is that I really approach winemaking from the vineyard first and carry it into the winery. If this interview were to be really long and soporific I could tell you how I enter into the secret language of vines and yeast and live where they live. I love what I do and how I can converse with vines and one-celled organisms and many would say that winemakers act like unicellular organisms and in my case that would be thoroughly true. I live where my yeast live and listen to my vines and my wife could tell you that yes I am crazy but that I love what I do and have the best wife on the planet to understand me and accept me for being who I am. Living among the yeast and vines. And having a better more loving wife and family than almost any lucky man on the planet. There are many lessons and many stories in my life after over five dozen harvests on five continents. The single most important lesson I’ve learned is one utterance by Andre Tchelistcheff which was “live the wine.” I’ve written papers on how my kids were little walking refractometers and how to listen to them (I recently gave a master somm talk on “Brix are for kids” where I cited my children’s comments on when to pick). Perhaps the biggest lesson is that a wine is the sum of its parts and the biggest part is the land itself. If we are to be stewards of the voice of the land and are to be its spokesperson – who are we to add even one letter to the speech of the land and the voice of things much more eternal than we as mortals are: the voice of the rocks and the sun and the wind and the rain. This is a lesson I have to constantly re-learn because I’m so bull-headed, to lose myself and just let the land speak first. Pretty simple: as my mentor Andre Tchelistcheff told me, “Live the wine”! That it is balanced, elegant and a true expression of the vineyard from which it came. I don’t want people to say “he makes Chardonnay and Pinot” – rather I would have them say I make Manchester Ridge wines or van der Kamp wines – something true to the sites and the stewards of the land who lovingly tend them. What resources would you reference for people who want to learn about wine? From a novice to more advanced. Check out the extension classes at UC Davis or the classes at SRJC or Napa Valley College if you want to dip your toe in or if a seasoned pro want to bone up on the latest in the field. And for a degree, Davis is also good as well as Fresno State. “Low yields make higher-quality wines” is not only a broad over generalization, it is more likely that high-end wines from vines that are cropped too low are actually worse wines than if the vines had a balanced crop. This is one of the reasons why we have run-away alcohols: if you don’t balance the vine, it will not pay attention to ripening its grape tannins and one has to pick the grapes at higher Brix (% sugar) to get the flavor-ripeness, leading to high alcohols, lower acidity and jammy flavors. Balanced vines, balanced wines! Tell me about the types of varietals you produce. How many and why did you select these types of varietals? I produce a huge number of varieties across the globe, but for my La Follette wines I focus on the twin jewels of Burgundy: Chardonnay and Pinot Noir. I also make a small amount of Pinot Meunier as a table wine because I have access to what may be the best site for this variety in the world, the north-facing mountaintop vineyard of the van der Kamp family. It is very much like Pinot Noir, thin-skinned and temperamental. It DEMANDS a lot of you, both in terms of growing and winemaking. This is a great reason to also make the lovely Chardonnay grape into wine, as the counter-balance to the craziness of Pinot Noir. Chard is literally a blanc canvas on which the winemaker may paint or sculpt, as it is the veritable Gumby of the wine world, ready to partner and please as opposed to the obstreperous Pinot, giving a moment of sanity to the Pinot winemaker’s life. 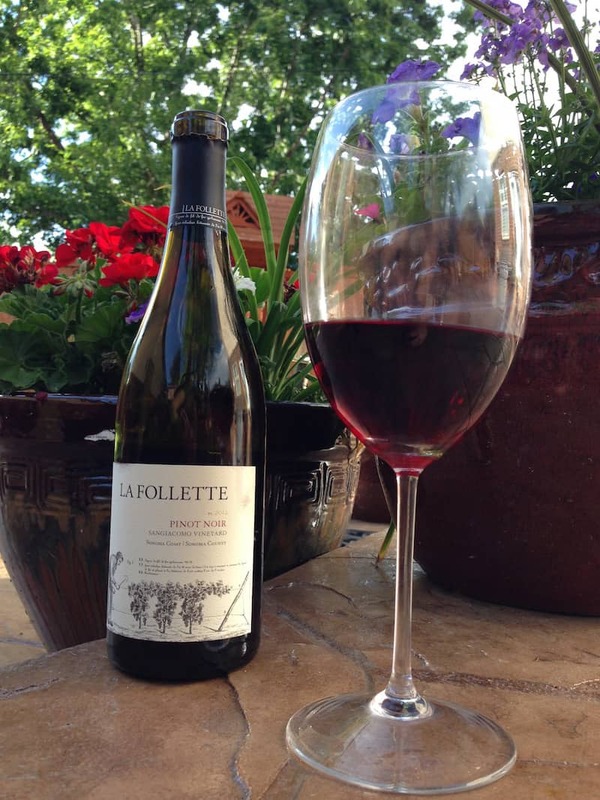 What is unique about La Follette wines? What makes your vineyard different than others in Sonoma? I would not presume to say that my wines are any more special than any other winegrower’s. What I would say is that I go to great lengths to partner with the land and the growers and really make wine in the vineyard, well before a single berry has crossed the cellar threshold. Each site, each vineyard has uniqueness, a specialness that can be listened to and partnered with. If I do anything well, it is listening to my vineyards and inviting the land to share its voice in every glass of La Follette wine. Can you share a little about the 2014 growing season and what we should expect from the wine? The year 2014 can best be summed up in one word: Compressed! It was the craziest vintage, with Cabernet, Sauvignon Blanc, Pinot, Chard, Merlot etc. ad nauseum all coming in at once. I’ve never seen anything like it! That being said, it was an almost ideal growing season: dry and disease-free with measured (though pretty fast!) growth. Expect balanced wines with great terroir expression. And what are some of your favorite things to pair with La Follette wines? My wife is a great cook and I generally leave the pairings to her but I can say that when I make a dessert wine, pairing it on my wife with some smeary Pt. Reyes Blue or Humboldt Fog can be pretty darned exciting! Besides your wines, what are a few of your favorite wines? I love what Brian Maloney is doing with his Russian River Pinots and Chards and really applaud Jake Fetzer not only for making terrific Pinot from his Masut Vineyard but almost single-handedly pushing Eagle Peak into a new and richly-deserved AVA. Thank you for telling the stories of wine and for asking these questions. Your work, bringing more understanding of wine to all the folks out there means that hose-draggers like me get to do more of what we love to do so much – grow and make wine! I tried this wine a couple of months ago and loved it–light yet interesting. I’ve tried about 30 Pinots from CA this summer, and this one was one of my favorites. Thanks for sharing the thoughts of such a talented, unique, winemaker! The modern push for dropping fruit is a major concern of mine, as it seems to me like leaf thinning makes more sense.